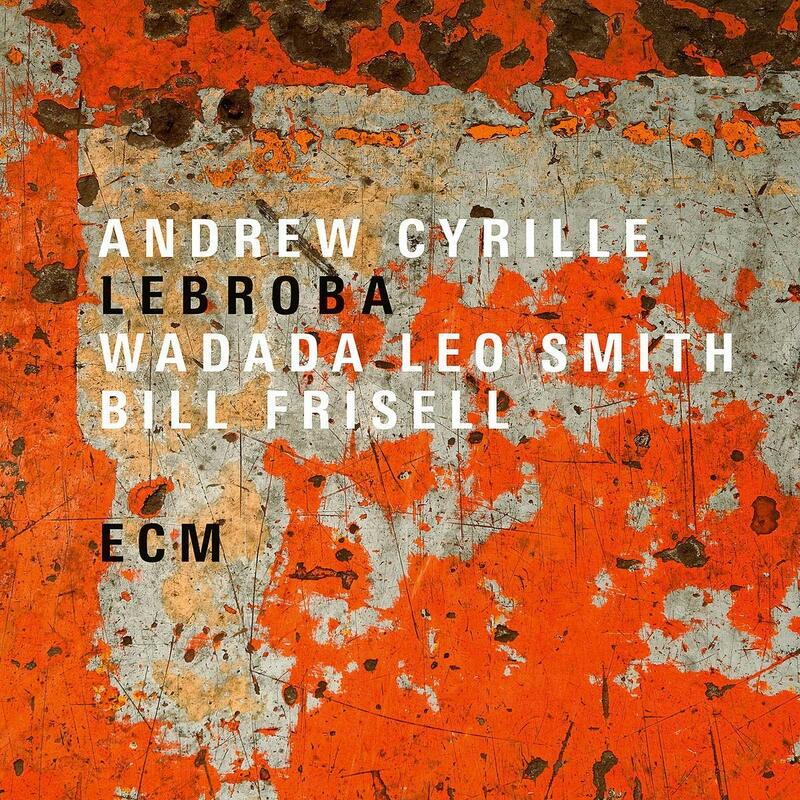 November brought a new collaboration from three of the all-time greatest avant-garde jazz musicians: Andrew Cyrille (drums), Wadada Leo Smith (trumpet) and Bill Frisell (guitar). The trio’s album, Lebroba, takes its title from a contraction of the three musicians’ birthplaces: Leland (Mississippi), Brooklyn, and Baltimore. This is certainly a fitting title for a record featuring a fusion of three musicians’ unmistakable styles. It’s also fitting that the album was released on the ECM label, which has long been a flagship of progressive jazz and which has issued landmark recordings featuring each member of this trio. The word that best describes Lebroba is “clarity.” The pristine recording quality of this album provides space for these masters of timbre to let their instruments breathe. Perhaps the best example of this is “Turya: Alice Coltrane Meditations and Dreams: Love,” a 17-minute suite that allows each musician a moment to speak his piece through timbre—buzzing trumpets, crystal clear telecaster tones, and a menagerie of drums and cymbals gradually unfold the number’s musical narrative. Clarity, however, also is the perfect description of their approach to playing. There are no rhythm instruments or melody instruments—Cyrille, Smith, and Frisell carry on a musical conversation throughout the record, at times listening, at times speaking, and at times overlapping as conversations do. Each has developed a sense of pure melodic playing on his instrument, with trumpet, guitar, and a full drum kit sounding like three voices singing, alternately passing around musical phrases or singing together at once as on the album’s title track. Even the obligatory dissonant cut (this is avant-garde jazz, after all), “TGD,” features clearly outlined musical textures, from backwards recorded distorted guitar to reverb-laden trumpet smears atop a bed of drumming that may be better described as a series of rhythmic textures than a groove. While the music featured on Lebroba is certainly challenging, it is foremost melodic and lyrical, despite any track’s lack of a clearly defined head-solo-head form. What Cyrille, Smith, and Frisell create on this record is what every musician aspires to—a set of completely organic, perfectly tasteful music. This entry was posted in Jazz and tagged Andrew Cyrille, Bill Frisell, CD review, ECM, Jazz, Lebroba, Matthew alley, Wadada Leo Smith by aaamc. Bookmark the permalink.